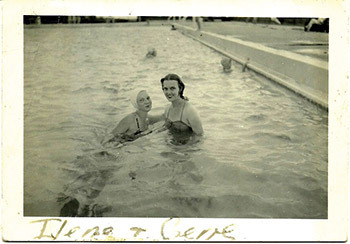 The history of the swimming pool is one that has been largely defined by innovation. From the baths of ancient Rome to today's multi-faceted backyard resorts, pools have undergone a number of evolutionary steps that in aggregate have made recreational bodies of water what they are today. Manmade pools built for recreation, therapy and ceremony have been around since the beginning of recorded history, or at least close to it. 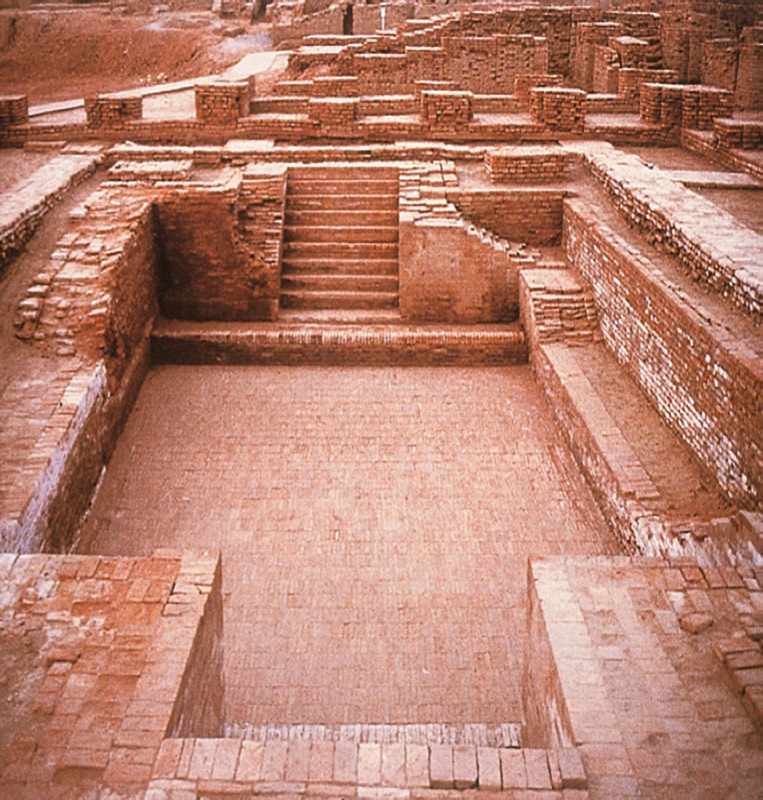 Historians often point to a vessel known as The Great Bath located in the ancient Pakistani settlement of Mohenjodaro as the first pool built by human hands — more than 5,000 years ago. Although the exact use of the pool is open to speculation, most researchers believe it was built for religious ceremony. Even way then, the builders were thinking creatively. The Great Bath features a complex array of benches and steps surrounded by a terraced deck area, similar in many ways to modern pools. It was built using tightly fitted bricks and finished with gypsum plaster. It even had a waterproofing tar membrane that surrounded the outside of the structure. Greeks picked up the innovative spirit in what many believe were the first public bathing facilities known as Paleastras, which were first established somewhere between 800 and 600 B.C. The great Greek philosopher, Plato, advocated teaching children to swim, an activity he believed was as important as mathematics, philosophy and astronomy. Later, as most people know, the Romans took pools to an entirely new level of sophistication. In the first century B.C. emperor Gaius Marcenus oversaw construction of the first known heated pool, which quickly became a standard throughout the empire. Roman bathhouses were found in every major city and most settlements. Many featured elaborate designs with multiple pools maintained at different temperatures. Some even used silver plates believed to be the first attempt at chemical sanitization. Roman pool design culminated in 305 AD when a massive 900,000 square foot vessel was built in Rome. Ruins of Roman baths can still be found throughout Europe, with many still revealing exquisite tile and stonework. The innovative design and engineering rank high among many of Rome's great innovations. The history of swimming pools thins out considerably after the fall of the Roman Empire. Although the Renaissance saw amazing expansion in aquatic design, the vast majority of those vessels were purely decorative. It's tough to pin down, but the modern era of pools made for organized swimming and bathing seems to start in the early 1800s in Great Britain, a period that features the beginnings of swim competitions. According to historian Jeff Wiltse, author of Contested Waters: A Social History of Swimming in America, the first swimming pool in the U.S. was Boston's Cabot Street Bath, which opened in 1868. The pool was located in a densely populated neighborhood where most of the homes did not have baths. In terms of the American swimming pool industry, a number of technical advancements around the turn of the 20th century led to the creation of the first generation of truly modern pools. Chief among those, rapid-sand filtration and chlorination, two innovative technologies that triggered the modern era of public water treatment. It wasn't long before chlorine and sand filters were being applied to swimming pools, which until that time exclusively used drain-and-fill regimens to maintain water quality. According the Journal of American Hygiene, the first attempt to sterilize a pool in the U. S. using chlorine was at Brown University in 1910. The long-term implications of rapid-sand filtration and chlorination cannot be overstated, both for public water treatment and the development of contemporary swimming pools. Pool operators and homeowners for the first time were able to sustain safe bathing conditions without changing the water. During this time, pools proliferated widely, mostly in public and commercial settings, some of which featured innovative designs. In 1907, a vessel believed to be the first aboveground pool opened at the Philadelphia Racquet Club. Among the historic commercial pools of the era, the Venetian Pool in Coral Gables, Fla. opened for business giving rise to host of other popular vessels that were at the center of South Florida's Art Deco movement. By the end of the roaring '20s, public pools and baths were common in the vast majority of U.S. cities. From the turn of the century to the beginning of World War II, residential swimming pools remained largely the province of the wealthy. Pool construction was both time-consuming and costly, a process that relied on concrete forming and/or hand packing concrete. The most opulent residential pools of that era, arguably of any era, were the outdoor Neptune Pool (built in the 1920s) and indoor Roman Pool (built in the early '30s) located at Hearst Castle in San Simeon, Calif. William Randolph Hearst teamed with architect Julia Morgan to construct the elaborate vessels, which featured state-of-the-art circulation and filtration systems combined with classic designs that mimicked Greek and Roman baths. The sheer opulence and innovative designs have remained powerfully influential among modern pool designers. By most any account, today's swimming pool industry truly started right after the Allied victory in the Second World War. During the war, pool construction had come to a stand still as the lion's share of U.S. resources were directed toward the war effort. Afterwards, retired military personnel and their young families, financially bolstered by the GI Bill, fanned out across the nation, resulting in the explosive growth of suburbs surrounding major cities. 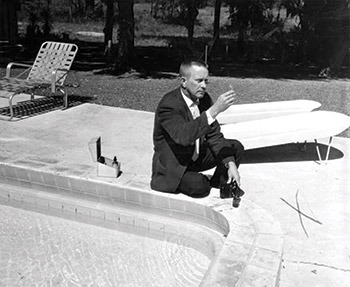 It was during the post-war era when a wave of pioneering mass-production builders came on the scene to meet the growing demand for what many considered the ultimate at-home luxury, the backyard swimming pool. Many of the names remain icons in today's pool industry: Anthony Pools, Sylvan Pools, Paddock Pools, were leaders among those targeting the middleclass, installing tens of thousands of affordable vessels across the U.S.
That widespread proliferation was made possible by an innovation that has its origin in the early 20th century, pneumatically placed concrete, or gunite. Gunite was invented in Allentown, Penn., by taxidermist Carl E. Akley in 1910, the term was coined in 1912. By 1915, The Cement Gun Company had popularized gunite, using the process in a wide range of applications including the repair of buildings, dams, bridges, reservoirs, sewer tunnels and furnace linings. Gunite was also adapted by the military as a method for rapid repair to battle damaged structures such as runways. By 1925, Gunite was global being used for countless applications. The first gunite swimming pools started appearing just before the war around 1940, allowing builders to install pools more quickly and at lower costs compared to those built with traditional methods, the technique also led to far more creative shapes. After the war, the speed and cost savings of gunite pools propelled the industry's expansion. For the first time, middleclass homeowners were able to own pools, which in turn fueled a number of important innovations in the post war era. Legendary landscape architect Thomas Church designed one of the most influential pools of that era. Known as the Donnell Pool, located in Sonoma, Calif, completed in 1948, the pool features an iconic multi-radius design that would in turn give rise to the kidney shaped pool, even though it wasn't itself a kidney shape per se. Many of the hardscape features Church incorporated in the Donnell project would become mainstays in backyard landscape design. Church's book "Gardens are For People" is often cited by landscape architects as one of the first to define exterior design for suburban residences. Indeed, as pools grew in popularity among the middleclass, a brand-new poolside culture began to take shape. In fact, one of the consumer products most associated with the aquatic lifestyle came on the scene - the two-piece women's bathing suit, a.k.a. the Bikini. Ironically, the once scandalous fashion statement arose not out of a desire to show off women's figures, but out of a need to conserve textiles as part of the war effort. It's probably no coincidence that during this period, movie star and swimming icon, Esther Williams drove interest in aquatics through her extravagantly produced water ballet movies, a performing art that would later give rise to the sport of synchronized swimming. Also during that era, another type of pool came on the scene. In 1947, Doughboy Recreational began selling extremely affordable aboveground pool kits, an innovation that is at least partly responsible for the rise of the package pool industry. A decade later, San Juan Pools created the first-ever single-piece fiberglass pool shell, another innovation that helped proliferate affordable alternatives to pools made with gunite or its heir apparent, shotcrete.